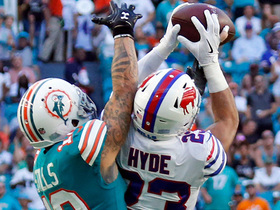 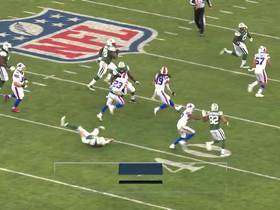 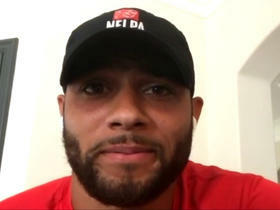 Hyde recorded two tackles and one interception during Sunday's 41-10 victory over the Jets. 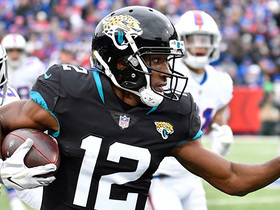 Analysis: After collecting 11 total interceptions over the past three seasons, Hyde endured an eight-game drought to begin 2018 before picking off his first pass Sunday. 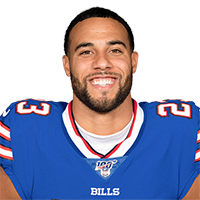 In addition to the lack of turnover production, Hyde is averaging just 3.6 tackles per game, which has lessened his appeal in IDP formats. 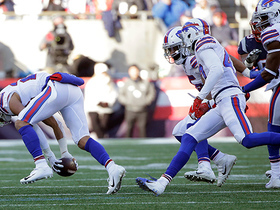 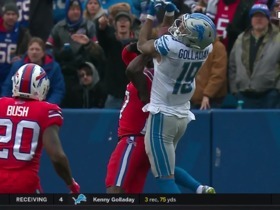 New England Patriots tight end Rob Gronkowski has the ball go right through his hands into the waiting arms of Buffalo Bills safety Jordan Poyer for an interception. 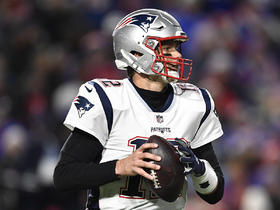 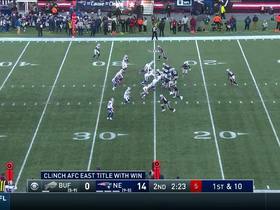 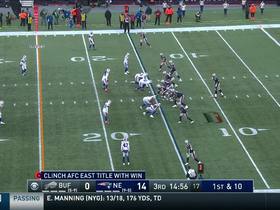 New England Patriots quarterback Tom Brady patiently finds New England Patriots wide receiver Julian Edelman catches for a 26-yard gain against the Buffalo Bills. 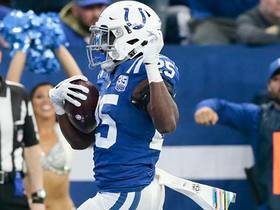 Indianapolis Colts running back Marlon Mack rushes for a 23-yard gain against the Buffalo Bills for Week 7 of the 2018 season.